Admission is free at all piping events during the Nicol-Brown weekend, thanks to the EUSPBA and other generous sponsors and volunteers. Your donations are always welcome! Join us for a rare evening of solo piping by Eric Ouellette, from Philadelphia, Pennsylvania. Eric is a current member of the Grade 1 Inveraray & District Pipe Band, and Pipe Major of the Grade 3 Ulster Scottish Pipe Band. The recital will be a benefit for the Nicol-Brown Amateur Invitational, and a welcoming reception for the 2018 competitors. The competitors will be introduced and will receive their tune selections from the judges for the contest on Saturday. The finest Amateur pipers from across North America have earned invitations to play in an elite solo contest with three events: 6/8 Marches, Piobaireachd and MSR. The contest is dedicated annually to the memory of Robert U. Brown and Robert B. Nicol, the Masters of Piobaireachd. View a pdf of the 2018 Nicol-Brown program. The 2018 Results will be posted here. 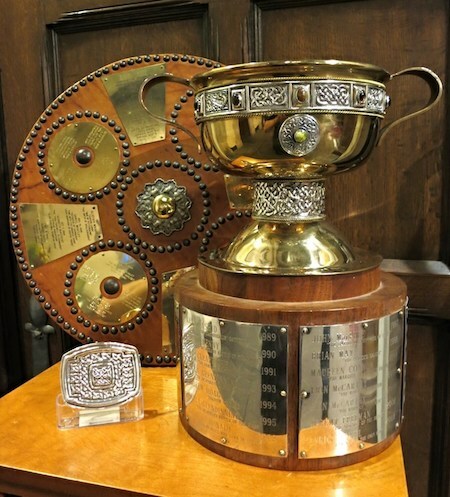 Nancy Tunnicliffe, from Lanesboro, Massachusetts, won the first Nicol-Brown Chalice in 1982, and judged the contest in 2007, 2008, and 2012. She brings a wealth of musical knowledge to the bench of the Nicol-Brown. Eric Ouellette, from Philadelphia, Pennsylvania, won the Nicol-Brown Chalice in 2004, and has been a successful professional soloist in the US and Scotland since 2005. Eric won the World Pipe Band Championship in 2017 with the Inveraray & District Pipe Band. Since 2017, he has also been instructing the Grade 3 Ulster Scottish Pipe Band, and has recently stepped into the role of pipe major. if you are interested in joining us for the 2018 dinner. Doesn’t this sound like a good way to learn? Nicol-Brown competitors will be given the privilege of receiving instruction from Nancy Tunnicliffe and Eric Ouellette. Pipers at all levels are invited to observe the Master Class and learn from the suggestions given to each competitor. Topics will include musical expression, technique, and improving performances toward the professional level. Email Maureen Connor: maureen.e.connor@gmail.com if you would like to reserve a spot for this year’s Master Class.